Student of the Year has got to be one of the most-hyped sequels of 2019 in Bollywood. 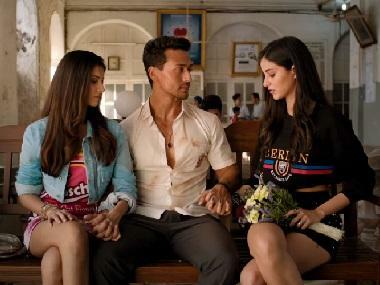 The makers on Thursday released first-look posters of the film's main characters — Ananya Panday as Shreya, Tara Sutaria as Mia and Tiger Shroff. While Panday sported a blingy pink t-shirt with a pink jacket and white shorts, Sutaria was seen in a low-neck pink top, white blazer and silver shorts. Tiger on the other hand, was seen in a rugged look with a faded white t-shirt, denim jacket and jeans, while in the other look, the actor sported a Student of the Year 2 red and white t-shirt. The posters were shared by producer Karan Johar on social media. Helmed by Dharma productions regular Punit Malhotra, Student of the Year 2 also features Samir Soni, Farida Jalal, Rohit Roy and Mallika Dua. The film is set to release on 10 May this year.